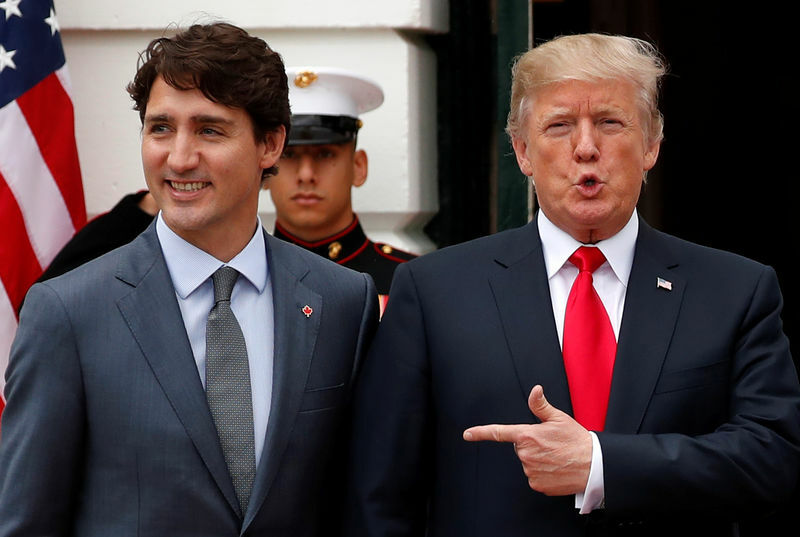 Trade talks between the United States and Canada aimed at revamping the North American Free Trade Agreement (NAFTA) will today after the two sides ended tense negotiations last week without a deal. The Trump administration wants to scrap a dispute-resolution mechanism that Canadian Prime Minister Justin Trudeau says is crucial. The two sides are also arguing over U.S. demands for more access to Canada’s closed dairy market. The neighbors emerged from talks last Friday, the White House’s deadline for Canada to join in on a deal the U.S. struck with Mexico late last month, without resolving sticking points. Meanwhile, investors continued to monitor the threat of fresh U.S. tariffs on another $200 billion worth of Chinese goods, which could come as soon as a public comment period ends on Thursday. U.S. stock index futures pointed to a on Wall Street, as continuing trade tensions and spreading worries about emerging market currencies cut investor appetite for risky assets. At 5:30AM ET, the blue-chip were down 110 points, or 0.4%, the dropped 10 points, or 0.4%, while the tech-heavy indicated a decline of 35 points, or roughly 0.5%. Elsewhere, in Europe, nearly all of the region’s major bourses were in mid-morning hours, with most sectors in the red. Among national indexes, Germany’s export-heavy lost 0.9%, while France’s gave up 1.2%. The UK’s shed 0.5%. Earlier, in Asia, markets in the region ended . The slumped 1.7% to 2,704, edging back at the two-and-a-half-year low of 2,653 set last month. Away from equities, the dollar was trading against a currency basket, as demand for the greenback continued to be underpinned by persistent concerns over emerging market stresses. The , which measures the greenback’s strength against a basket of six major currencies, was a shade higher at 95.50, not far from Tuesday’s one-and-a-half week highs of 95.68. In emerging markets, currencies such as the , , , , and were all lower. In commodities, oil prices as a tropical storm hitting the U.S. Gulf coast weakened and had a lower impact on production than initially expected. futures were at $69.17 per barrel, down 70 cents, or 1%, from their last settlement. International futures fell 51 cents, or 0.7%, to $77.66 a barrel. However, the storm had shifted eastward by Wednesday morning and was , reducing its threat to producers on the western side of the Gulf. Top Twitter (NYSE:) and Facebook (NASDAQ:) executives will defend their companies before U.S. lawmakers this morning, with Facebook insisting it takes election interference seriously and Twitter denying its operations are influenced by politics. But no executive from Alphabet (NASDAQ:)’s Google is expected to testify, after the company declined the Senate Intelligence Committee’s request to send one of its most senior executives, frustrating lawmakers. The will begin at 9:30AM ET.